I was pleased to attend the Network Quality Improvement event in the Marriott Hotel, Garstang Road, Preston, on Thursday 22nd February 2018. One of my voluntary roles is to advise the Critical Care and Major Trauma Network Board about issues pertinent to patients and their families and I was delighted to be able to recount comments shared with me over the last 6 months. I included abstracts from the Neurological Alliance Patient Survey, the distress of patients experiencing hallucination whilst unconscious, patient information leaflets, legal advice in the Tertiary Centre in Preston, and our Changing Places work. We are delighted that Claire Horsefield has been appointed the new chair of CC3N. Claire is the quality Improvement Lead Nurse for the Lancashire and south Cumbria Critical Care Operational Delivery Network, a post she has held since 2014. • Encephalitis Conference, 4 December 2017 in London. • Next steps for NICE: funding, quality and adoption, 11 January 2018 in London. Strategy, 1 March 2018 in London. Exploring the Recent Innovations and Novel Therapies in Neurology and Neuroscience. 4th World Congress on Rare Diseases and Orphan Drugs, 11 – 12 June 2018 in Dublin. • 3rd International Conference on Paediatric Neurology, 20 – 21 September 2018 in Lisbon. The biggest event of the year for Academic Health Science Networks – the Health and Care Innovation Expo, at Manchester Central on 11 and 12 September. 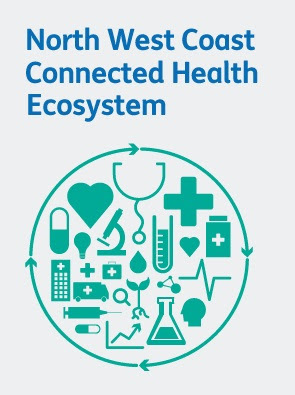 It’s great that once again it is in the North West and promises to be better than ever, with inspirational speakers and an exhibition packed with the latest tech and systems transforming health care. The AHSN Network will have a stand and a number of speaker sessions; you can find out more about EXPO here. 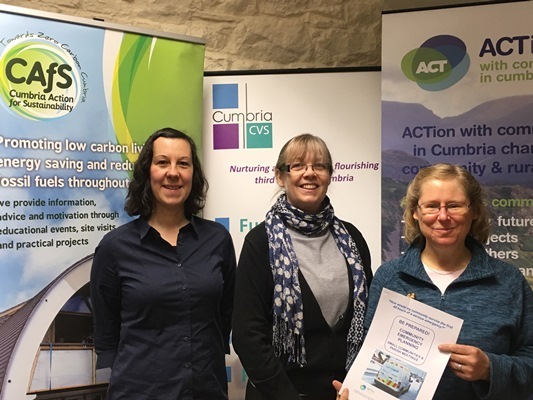 From Cumbria CVS – well worth joining them! As part of Volunteers’ Week 2017, Cumbria CVS is holding a Volunteering Fair where people interested in volunteering can find out more about the opportunities available. This fair provides a fantastic opportunity to meet and talk to representatives from over 14 local organisations who are looking to recruit new volunteers. They will be on hand for you to talk to informally and discuss volunteering. They represent a range of opportunities including areas such as care, advice work, older people, homeless, ex-offenders, gardening, mental health, fundraising, medical loan, retail, administration, children, carers, disability, IT, driving, befriending and youth, etc. Organisations attending include: Age UK South Lakeland, Leonard Cheshire Disability, Quaker Tapestry Ltd, Fairoak Housing Association, Royal Society for the Prevention of Cruelty to Animals, British Red Cross, South Lakes Foyer, Depaul UK, South Lakeland Mind, Cumbria Fire and Rescue Service, Prison Advice Care Trust, Brewery Arts Centre and Rosemere Cancer Foundation. The event is anyone who would like to find out more about local volunteering opportunities – please feel free to drop in at any time – you are very welcome. My Life; My Injury: A focus on neurological injury and the actual impact of clinicians. We have received this invitation which I am sharing widely. We have no connection with this firm. “This conference will analyse immediate trauma care, decisions taken by neurosurgeons, rehabilitation on the ward, decisions about onward rehabilitation and getting back to the home environment and will relate in particular to the impact of litigation. This event is the UK’s premier Neuro Legal Conference and offers an outstanding day of learning content and unrivalled networking opportunities. The conference itself takes place in One Great George Street, Westminster, London on Thursday 13th July 2017. Please find attached the flyer and booking form. Fieldfisher are also delighted to host a post conference drinks reception which will be held in the Council Room at One Great George Street. This course will be accredited 4.5 points by both APIL and the CPD Service. To book your place(s), simply fill in and email back to admin@abisolutions.org.uk. RE : My Life; My Injury: A focus on neurological injury and the actual impact of clinicians. The conference itself takes place in the sumptuous One Great George Street, Westminster, London on Thursday 13th July 2017.